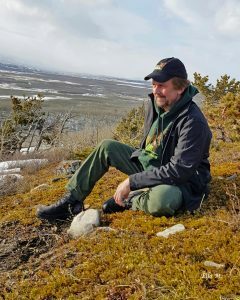 Mike has been to Kamchatka Russia, walked among some of the largest bears in existence, travelled to Alaska, the Rockies, observing bears and their behavior. The only weapons Mike feels you need in bear habitat is your brain and a can of pepper spray. A frequent visitor to the Algonquin Park and area to enjoy and photograph wildlife and nature, Mike moved permanently to the north purchasing an old farmhouse including some acreage (89 acres) with a creek and pond in 1990. Mike volunteered at the Aspen Valley Wildlife Sanctuary (AVWS ) in the early 1990’s helping injured and orphaned wildlife specifically bears. It wasn’t long after assisting at the AVWS that Mike realized there was such a great need to help the black bears and humans coexist. Mike decided he wanted to devote most of his time to helping the misunderstood bear. 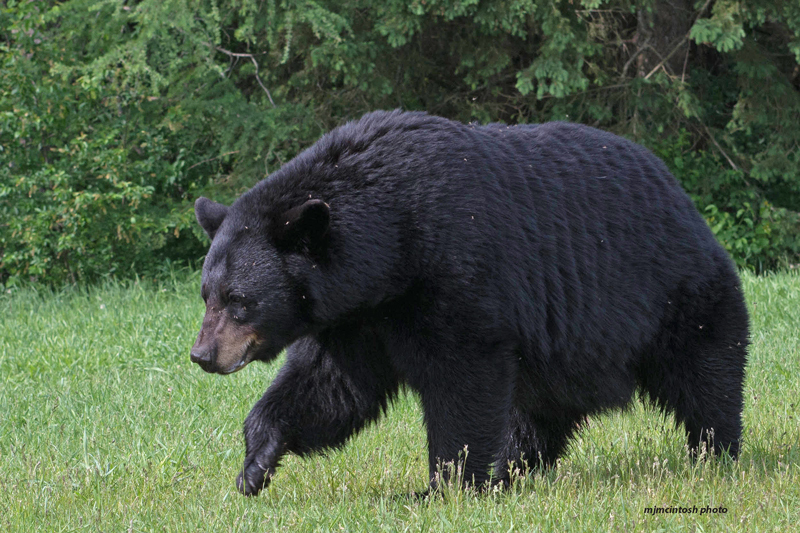 He approached the Ontario Ministry of Natural Resources and Forestry in 1991 and talked to them about his plans to help orphaned cubs, injured bears and also assist the public with “nuisance” bears, more correctly known as human-bear conflict resolution. 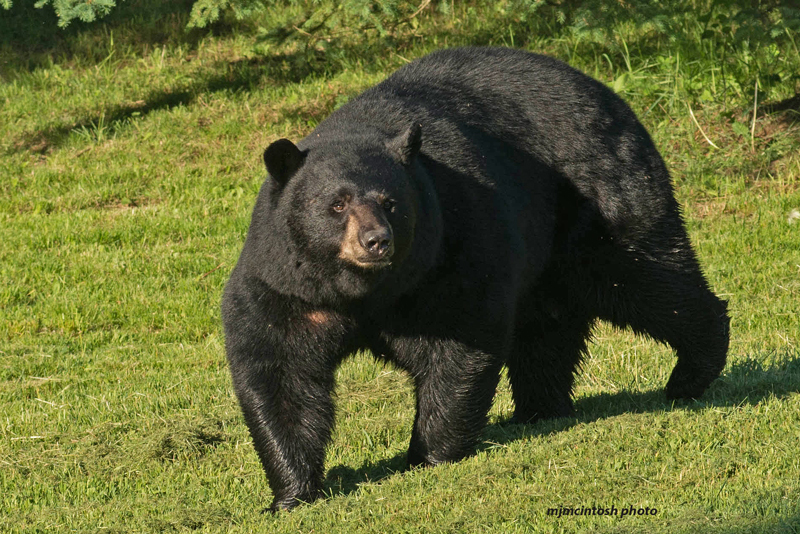 In 1992 with the help of some local friends interested in wildlife rehabilitation plus the cooperation of the Ontario Ministry of Natural Resources (OMNR), the Bear With Us Sanctuary and Rehabilitation Centre for Bears was formed by Mike McIntosh. All began with the first bear in April 1992, a big old blind bear from a zoo in eastern Ontario. This bear named Mishoomish remained at Bear With Us until his passing. 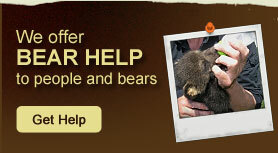 Since its inception, Bear With Us has assisted 530+ orphaned and injured bears return to the wild. Bear With Us is a permanent home to a select few bears that cannot return to the wild. Meet Ella McIntosh. Ella has similar passions for bears, wildlife and nature. 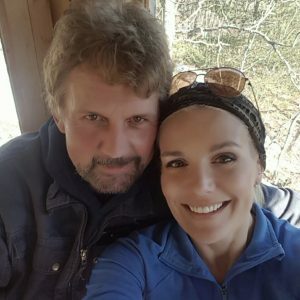 Mike and Ella work together as husband and wife and partners at Bear With Us Inc. In 2000 Bear With Us was incorporated as Bear With Us Inc. and became a registered Canadian Charity. 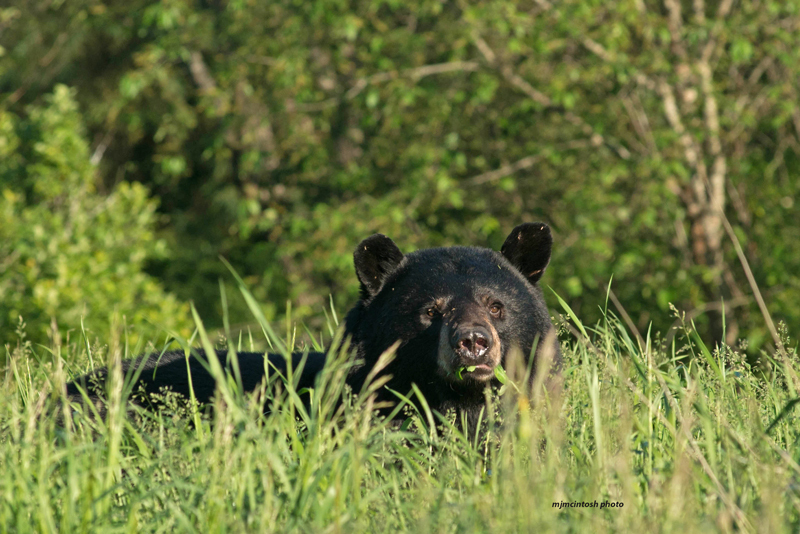 Bear With Us Inc. and the McIntosh’s are authorized annually by the OMNR (Ontario Ministry of Natural Resources) to rehabilitate and release orphaned wild bear cubs, live trap and relocate perceived nuisance bears and keep black bears in captivity. Mike, Ella and Team do speaking engagements to interest groups such as campers in Ontario Parks, local cub-scout packs as well as schools. Educating people through their presentation “Understanding the Black Bear” is critical to assisting bears and people to coexist . Bear With Us Mission:To promote the understanding and respect for the bear family, a species near the top of the evolutionary scale, a species in direct niche competition with the human race. 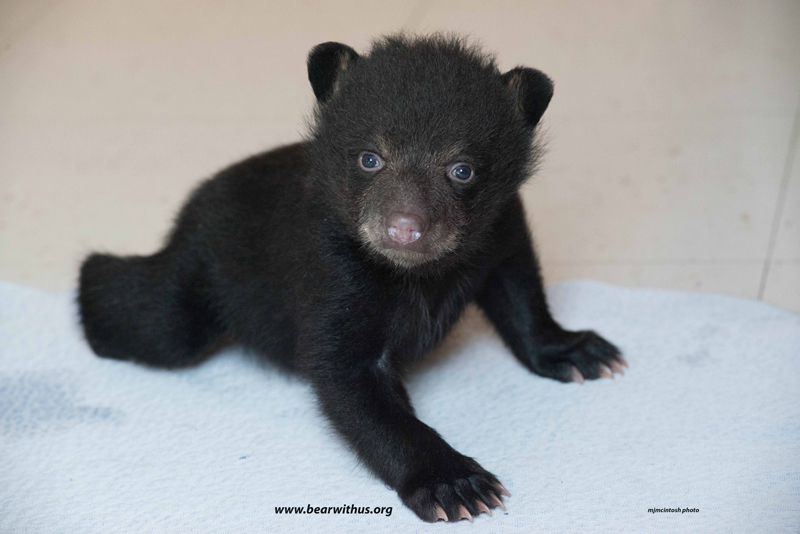 1-Black Bear Rehabilitation; orphaned bear cubs and injured bears cared for and returned to the wild in a high state of health. 2-Bear Sanctuary; various species; A comfortable place to stay for permanent non-releasable bears such as ex-circus bears, zoo excess or illegal pet confiscations. 3-Education; (a)-Off location slide/video presentations for groups at Provincial Parks, schools, cub and guides, other young people’s groups, nature clubs and more. (b)-Comprehensive website, Facebook page and a special educational Facebook page for Molly Bear. (c)-One on one phone conversations and email responses to individuals with questions regarding bears. 4-Conflict Resolution; Assisting people and bears to coexist together. Individual consultation with people about how not to encourage or discourage a nuisance bear by removing food attractants, live trapping and relocating individual bears when other potential solutions have been exhausted. 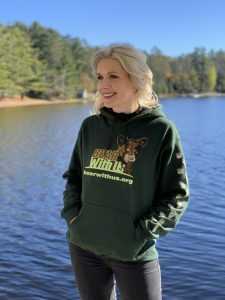 Working to dispel myths and misinformation about coyotes, wolves, bears and cougars, Hannah Barron comments: “Accurate information never robs animals of their magnificence, but robs us (people) of our fear very well!” – Hannah Barron. A biologist specializing in wolves and other carnivores. 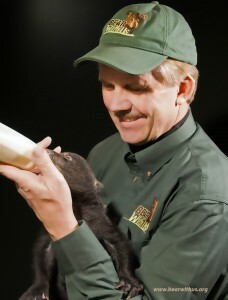 “A problem for bears is not so much what we don’t know, it is what we think we know that isn’t true.” – Dr Lynn Rogers.